Fern the Fabulous Fennec dreams of escaping the circus in pursuit of a better life. Mullberry Forest chronicles her adventures and misadventures as well as those of the friends she makes along the way. This beautifully illustrated tale of loss, growth, and discovery is bound to inspire the soul as well as uplift the heart. Kira Thomas is a former video-games journalist and freelance writer whose first love is video-gaming and second love is writing which she had proven when she entered and completed NaNoWriMo in 2014 and again in 2016. Her passion lies in creating fantasy and science fiction stories for her friends to read and enjoy. 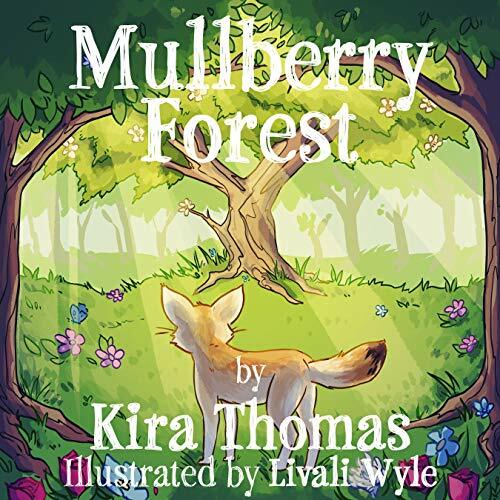 Her first published work the children's bedtime story, Mulberry forest, is a labor of love, created during her time studying Creative Writing at Derby University and perfected after graduation. Kira currently works as a professional copywriter and a freelance writer in the town of Doncaster; you can easily find her in the office. Just look for the girl rambling about Dungeons & Dragons, Star Trek or Lord Of The Rings to her colleagues. Receive news and updates about Kira and her works.